Your pastor search procedures don’t need to be elaborate, but they do need to be clear. These pulpit committee guidelines should give you a path that guides your search. Some of these procedures and guidelines have probably already been written for you. Most likely they are included in your church constitution or bylaws. Whether or not they are already written, you need to discuss the following issues as you set up your procedure. Will you consider more than one candidate at a time? Some churches interview multiple candidates and have several fill the pulpit. They then allow the congregation to vote on which candidate they want to have back. Other churches walk through all the steps with one person before they move on to the next. Which will you do? Does your pulpit committee need to be unanimous in their decisions? When and how will you correspond with potential candidates? Email has become an acceptable form of communication. But some things should be done through the mail. Still others need to be done over the phone or in person. How will you conduct interviews? Will you do initial interviews over the phone or in person? How will you get information from references? Will you call them or send them a form? Who is responsible for sending out correspondence – email or mail? Does someone or a group need to visit the candidate’s church before you interview them? How will you keep the congregation updated? 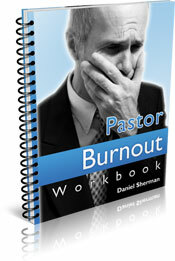 Do you need an interim pastor? Who will fill the pulpit if you don’t get an interim pastor? What five to ten characteristics can you use to quickly eliminate potential candidates? You will more than likely receive more resumes’ than you expect. How can you sort through them and find the best possibilities? Don’t send everyone a questionnaire – that’s just mean to get the hopes up of some who will never be considered. Use a list of about five characteristics that are absolute requirements – things that you won’t compromise on. Then use that list to quickly rule out potential candidates. For instance, does your pastor have to be male? Does your pastor have to be married? Does your pastor have to have children? 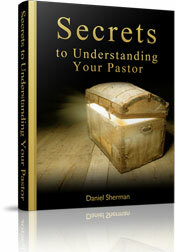 Does your pastor need to be older than a certain age? 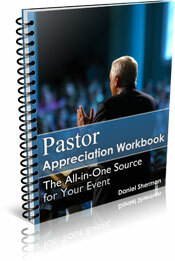 Does your pastor have to have pastoral experience or can he be just out of seminary? Does he have to come from a specific denomination or school? With this type of list you can quickly eliminate many of the people who send you resume’s. Make sure you send a note or email to each person you rule out. Don’t keep them wondering. Make sure that all your pastor search procedures are clearly written. Give a copy to each member. Everyone needs to understand how the pulpit committee will function. Once you have your pastor search procedures in place, you might want to determine how you will conduct interviews.